Convenient, effective online training. Purchase the online course with DVD and you receive instant online access to the course material and video based education. We ship you the DVD for self study offline or to train groups of professionals. Complete the online course, take the course test and print your certificate instantly. A great way to supplement your hands on continuing education courses! An exciting learning tool for individual therapists or teams of therapists seeking to effectively evaluate the shoulder complex for orthopedic dysfunction and earn Continuing Education Credits (10.5 contact hours/1.05 CEU’s.It provides therapists with a step by step process to effectively evaluate the shoulder complex for orthopedic dysfunction. Therapists will significantly increase the efficiency of their examinations by mastering the information in this teaching tool. Effective rehabilitation programs can be developed by the clinician through a greater understanding of the testing sequence and the anatomical implications of the tests. Experienced clinicians can utilize this software to obtain a master level understanding of the shoulder testing procedures. Each test segment detailed in the software covers critical pathways, position of the patient, position of the clinician, position of the clinicians hand, direction of movement, tissues implicated, indications of a positive test, and amount of force to be applied. Identify anatomical landmarks of the shoulder complex. Describe the tests utilized for orthopedic shoulder assessment and understand the rationale for using each test. Understand and recognize ’cluster of signs and symptoms’ in performance of the clinical examination. Determine the most appropriate test to utilize when assessing for specific orthopedic dysfunction of the shoulder complex. Identify optimal positioning of the clinician and therapist when assessing varying shoulder pathologies. Identify positive test results when performing specific shoulder tests. Demonstrate a thorough understanding of the amount of force and direction of movement utilized when performing each test. Describe the critical pathways for each test category Increase the efficiency of orthopedic shoulder evaluations. Develop effective rehabilitation programs by having an understanding of efficient testing procedures to rule out specific orthopedic dysfunction. Each test of the algorithm contains detailed information about patient and clinician positioning, key hand placements, sequence of testing procedures, force of motion applied, tissues implicated, and interpretations of testing results. Zoomable digital models displaying hand positions for the start of each test. Extended length digital movie of George Davies performing the twenty nine tests of the algorithm. Digital video of each test with step by step commentary. The user controls the pace of the learning, material can also be reviewed and printed for self study. Instruct other therapists on the testing procedures using the software as a in-service tool. Review the evaluation techniques prior to evaluating a new shoulder patient. A great review tool to maintain your competency. Great for students! The shoulder testing sequences are detailed step by step. 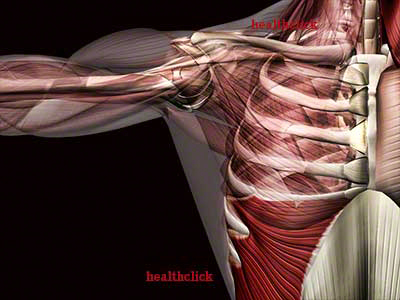 The experienced clinician can reinforce their shoulder testing techniques in order to develop more effective treatment programs. Submit for home study Continuing Medical Education credit. Continuing Medical Education: Once the software has been purchased, the user may complete and submit a test for Continuing Education Credits (10.5 contact hours/1.05 CEU’s) with the home study test fee. After returning the post-test to North American Seminars and achieving a passing grade of at least 70%, the user will receive a CEU certificate. Passing applicants will receive a certificate via US MAIL within 30 days of submission. Software cannot be returned after CEU test submission or after thirty days from purchase date.